In December 2014, the American Bankruptcy Institute issued its Final Report and Recommendations of the Commission to Study the Reform of Chapter 11. The Commission was comprised of 22 professionals. The group included attorneys, academics, financial advisers, and a former bankruptcy judge. After over two years of work, the Commission made more than 200 recommendations to enhance the Chapter 11 process and provide a more efficient, less costly path for smaller businesses seeking bankruptcy. In this article, Dr. Needham discusses the origin of the Commission’s purpose, the recommendations and the impact of the U.S. Supreme Court’s Till decision, and the infamous footnote 14 on cramdown rates. This article reviews court opinions regarding footnote 14, the current status of the market based approach in the courts, and why this recommendation will do little to change the way financial experts address cramdown interest rate matters in Chapter 11 cases. It looks at this recommendation not from a legal perspective, but from the view of the financial expert working in Chapter 11 cramdown matters. Several courts have addressed footnote 14 and its relationship to determining cramdown interest rates in Chapter 11 matters. They, in general, do not support applying footnote 14. It appears the commission has rejected the logic of the courts and market reality in making this recommendation. Footnote 14 of the Till decision stated that an internet search showed several debtor-in-possession lenders (DIP) willing to make loans to a bankrupt company. From the rates charged by DIP lenders, a cramdown market interest rate could be construed and applied to debts to be paid over time after a business moves out of bankruptcy. DIP lending takes place while a business is operating under Chapter 11 protection. It is not funding provided to a business that has emerged from bankruptcy. The commission’s recommendation talks about determining the interest rate “based on the cost of capital for similar debt issued to companies comparable to the debtor as a reorganized entity.” DIP lending is not the source for that information. The reason no “efficient market” exists is because of the financial condition of the debtor as it emerges from Chapter 11. Although hopefully a stronger firm, it is usually highly leveraged. 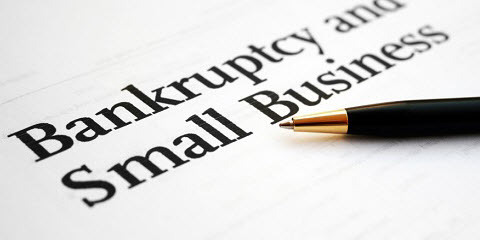 In many cases, the business’ debt forced it into bankruptcy. Secured debt may run from 90 percent to 100 percent of the value of the underlying collateral. Even when emerging from bankruptcy, these ratios may remain high. This means that the capital structure (debt to equity) of the business is not acceptable to traditional lenders. The business’ cash flow is impaired due to the repayment schedule for the restructured debt. The debtor’s success depends on meeting the projected income and cash flow analyses filed with the court which assumed business success after emerging from bankruptcy. Finally, the reorganized firm will have to deal with the “taint” of bankruptcy as it moves forward. These issues create a situation unacceptable for traditional lenders. Even when similar financial data are provided by a similar, non-bankrupt debtor to a traditional lender, that lender’s credit committee will find it difficult to approve a loan or bundle of loans (working capital and fixed assets) comparable to the debt being restructured for long=-term payment. This two-step process seems logical. While it is unlikely an efficient market exists that provides an applicable interest rate for most cramdown situations, the efficient market should be researched to inform the court that such loans do not exist. Of course should such loans exist, it seems the court may ask why these lenders have not been contacted to provide replacement funding for the contested debt. If the potential lender is contacted and after review decides to not offer a replacement loan, the debtor can argue no efficient market exists. If the potential lender makes a loan offer, the debtor may borrow funds from this new lender. This removes the need for a cramdown hearing for this particular creditor class and allows the debtor to move forward without a creditor who has been forced into this relationship. As noted by the Fifth Circuit Court of Appeals, most courts have found that an efficient market does not exist for these restructured loans. In the Momentive opinion, Judge Drain goes further suggesting that an ‘efficient market’ will never exist and therefore courts should move straight to the formula approach. “I conclude that such a two-step method, generally speaking, misinterprets Till and Valenti and the purpose of section 1129(b)(2)(A)(i)(II) of the Code based on the clear guidance of those precedents. Since Till, attorneys, experts, and courts have been seeking ways to address the differences between addressing cramdown interest rates for individuals in Chapter 13 and corporations in Chapter 11. Some attorneys and experts have latched onto footnote 14 to suggest an efficient market rate should be applied in Chapter 11 cramdown matters. As have been noted by bankruptcy courts, courts of appeal, and financial sources, such efficient markets seldom, if ever, exist. The ABI’s commission has recommended that a market based rate approach be used in Chapter 11 cramdown matters. The interest rate would be based on the cost of capital for similar debt issued to companies comparable to the debtor as a reorganized entity. If a market rate cannot be found, the commission recommends a formula approach be followed. This rate would be a risk-adjusted rate that reflects the actual risk posed in the case. Rather than a new idea, the commission’s recommendation sounds like the two=step process currently employed by many bankruptcy courts. It puts more emphasis on the market based rate. Because of the nature and structure of this debt, it is unlikely efficient markets will be found. With no efficient market, experts will then use the formula approach to determine a cramdown rate. The court will then adjust the rate based on testimony. Chapter 11 bankruptcy can be a complex and expensive process without contested hearings. When a creditor opposes the reorganization plan, the court needs to address the creditor’s concerns along with the reasonableness of the debtor’s chances of being successful as a reorganized entity. When the differences are over the repayment of debt, its terms and interest rate, the current two=step process has provided satisfactory results. In the more than ten years since Till, court cases have shown that seldom is there an efficient market for Chapter 11 cramdown matters. Courts and experts have devised many ways of assessing the risk involved. The process is not perfect; however, it is part of the system that works. In dealing with cramdown interest rates, debtors, creditors, and the courts should head the words of the Till decision. A court’s ruling on the appropriate cramdown interest rate is a somewhat Solomon like decision. It must provide for risk and the time value of money so that the creditor receives the present value of the debt over time. At the same time, the bankruptcy process must provide debtors with a reasonable opportunity to reorganize and continue in business. This unusual situation is not what is commonly found in the efficient market between borrowers and lenders. The current two-step process allows the court to confirm that no efficient market exists before moving to the formula approach to assess the interest rate. If an efficient market does not exist, then the commission’s recommendation becomes much ado about nothing. There are problems with the Chapter 11 process that need to be addressed. And, changes in policy and procedures need to be made. The process financial experts and the courts use to determine cramdown interest rates is not one of them. The author of this article is the Needham mentioned in the opinion. I was retained by the debtor to offer an opinion on cramdown interest rates. Till is a Chapter 13 bankruptcy case. Many courts have found it informative and directive in applying the formula approach for determining cramdown interest rates in Chapter 11 cases. Allyn Needham, Ph.D., CEA, is a principal at Shipp, Needham & Durham, LLC (Fort Worth, Texas). For the past 17 years, he has worked in the area of litigation support. Prior to that, he worked more than 20 years in the area of banking and risk management. Dr. Needham has also been an Adjunct Professor of Economics at Texas Christian University and Weatherford College. As an expert, he has testified on various matters relating to commercial damages, personal damages, business bankruptcy and business valuation. Dr. Needham can be reached at aneedham@shippneedham.com and 817-348-0213.